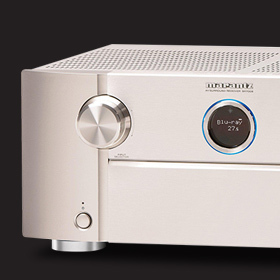 Wes said: The Marantz SR7008 is a frontrunner in every way. The double nature of its front panel is a perfect metaphor for what lies inside: You can keep it simple, like the two-dial front, or you can flip down the panel and go as deeply into setup as you want. It’s also very good looking, not like the industrial boxes of most of its competition. The gist: Strong contender in the AVR wars with cut-above looks.